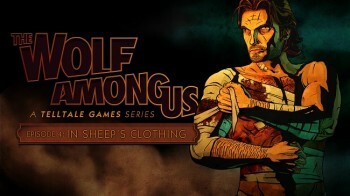 The Wolf Among Us Episode 4, In Sheep’s Clothing, is a solid enough entry in to the Season so far. We’ve still yet reach the levels of promise that the first episode hinted at, but the penultimate entry in the series manages to set the scene well enough. Telltale are managing to keep up a blistering pace over the past few months with episodic content for their flagship The Walking Dead franchise and the new The Wolf Among Us series. No sooner have we had an update from one the other is hitting the download queue. So what gives? 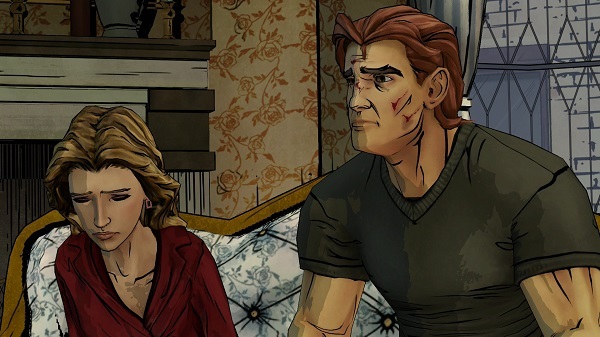 Can Telltale maintain their ludicrously high standards whilst producing content at this rate? I say – almost. 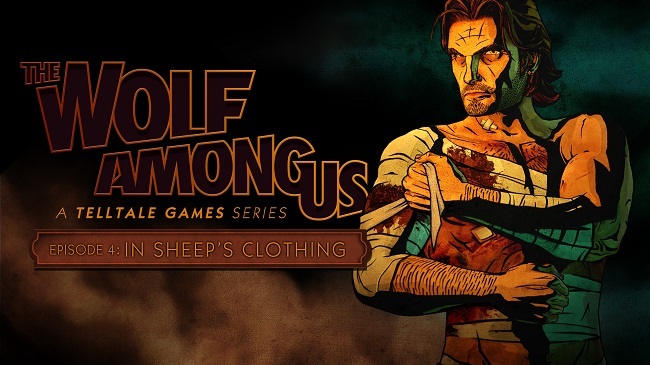 The Wolf Among Us, Episode 4, is titles In Sheep’s Clothing and sees us pick up pretty much where we the grizzly end to the last episode left us. Bigby is in dire need of some patching up and Snow is starting to feel the self-righteous pressure of office with Crane out of the picture. Where are previously, in the past couple of episodes, we’ve been setting the scene to reveal the master villain behind all the murders in Fabletown, now we have our sights firmly set on said villain and the crescendo for the season finale is quickly approaching. Once again the scene captures the intriguing world of the exiled fables as they try and live out their lives among the regular people of the city. Characters are instantly recognisable from childhood fables, yet they manifest in an all too real way. For instance the fairy tale match of Beauty and the Beast has descended in to something quiet pitiful in the absence of riches as they struggle to live their old life without the means to support it. Another great looking game from the art team over at Telltale with plenty of saturated colours making up the world around our central fable characters. Art direction on the characters themselves is once again well realised with a good nod to the art styling of the source material. Animation is an area worth Telltale looking at improving over the coming months with many of the up-close personal interactions offering some jarring body and limb movements at times. More top notch voice work from the voice talent working on the series but this episodes script felt like it lacked a certain punch. Despite it building to towards the final chapter is didn’t instil a real sense of built up tension. The game seemed to just plod along at times. This might be, in some part, due to the fact the series doesn’t seem to have found the same sort of happy medium between interactive storytelling and minimalist adventuring that The Walking Dead has. 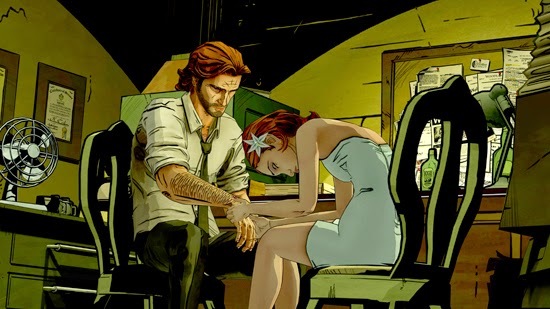 There feels like a real lack of things to do at times which is only spiced up by the times the Bigby loses his cool, again, and a fight breaks out. The same troupes seem to be getting recycled throughout the episodes and it may be starting to wear a little thin. Technically the game was solid for me through my 1hr 20 minute play through with no nasty crashes, save glitches or geometry issues which is starting to be a nice “norm” for the past releases of both Wolf and TWD. No real technical issues is a bonus. As ever the voice work is spot on even if the script and pace are meandering at times. It’s certainly not going to disappoint anyone, but I was hoping for something a little more varied than the recap, dialogue, choose one of a couple of options to investigate first, then visit the other, then have Bigby get in to some fights, closing drama part. 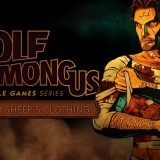 This seems to have been The Wolf Among Us’ “trick” these past few episodes and it’s starting to outstay its welcome. In Sheep’s Clothing manages to be one of the more bloody and brutal instalments of the series to date replacing tension for outright terror and bloodshed. It certainly sets the scene for an interesting finale.